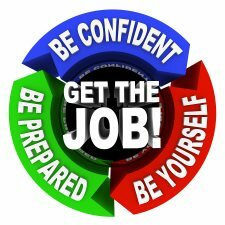 It is rarely easy to get a job, particularly if the position is in high demand—which it is likely that the position for which you are applying is or you wouldn’t want it. If you want to truly stand out from the other applicants and demonstrate yourself as the most desirable candidate, you need to dedicate yourself to your preparation. Really impressing your prospective employer starts with careful and stringent preparation so that you will be ready to attack every step of the process—particularly the interview. While it may seem that spending a lot of time preparing for an interview may put you behind the pack, it will actually help you excel. What is driving you to apply for this particular job? Are you truly passionate about this position and the responsibilities you will need to fulfill it? Do your values correspond with the values of the company and with the particular position? What can you really offer to the company? What can the company offer you? A career is something that you will hopefully have for many years, meaning that you will be a part of the company for an extended period. Do you really want to be a part of the company whose position you are applying for? To fully know this you will need to know everything that you can about the company. Before you go to your interview you should carefully research the company and learn all that you can about it. This includes the history of the company, its philosophies, what exactly it does, and how the position is a part of this. This will help you to sound informed during your interview, but will also help boost your confident that you have chosen a company that is a good fit. You don’t want to tie yourself to a career that will find you spending your workweek with people that you dislike or in an environment that makes you uncomfortable. Every company has a culture and it is important that you familiarize yourself with this culture not only so that you will know that it is conducive to you enjoying yourself in the career, but also so that you can properly demonstrate this familiarity and willingness to participate during your interview. The person that is interviewing you will want to trust you and feel that you can become “part of them”, so you want to show that you are aware of the culture and that you will fit in with it comfortably.